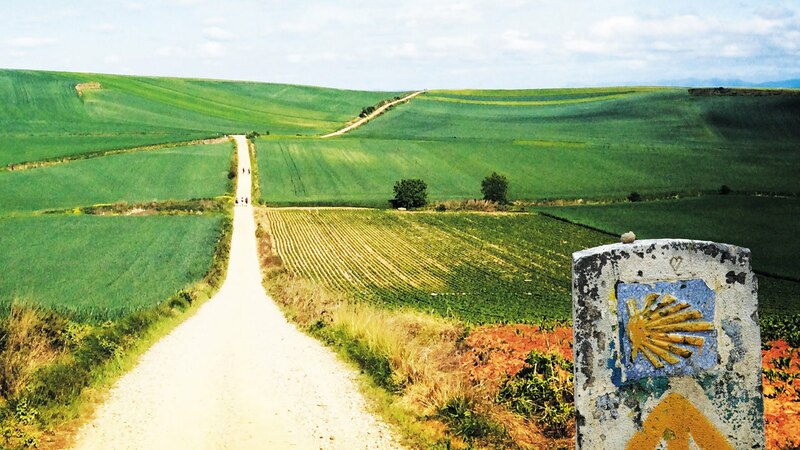 The Camino de Santiago is an ancient pilgrimage route to the Cathedral of St James in Santiago de Compostela, Spain. The remains of St. James the Apostle were said to be enshrined here and today, the Camino is regarded as one of Europe’s most important religious pilgrimages. Every year, hundreds of thousands of Catholics from across the world set out from their front doorsteps, to complete the Camino as a form of retreat or in search of spiritual growth and adventure. 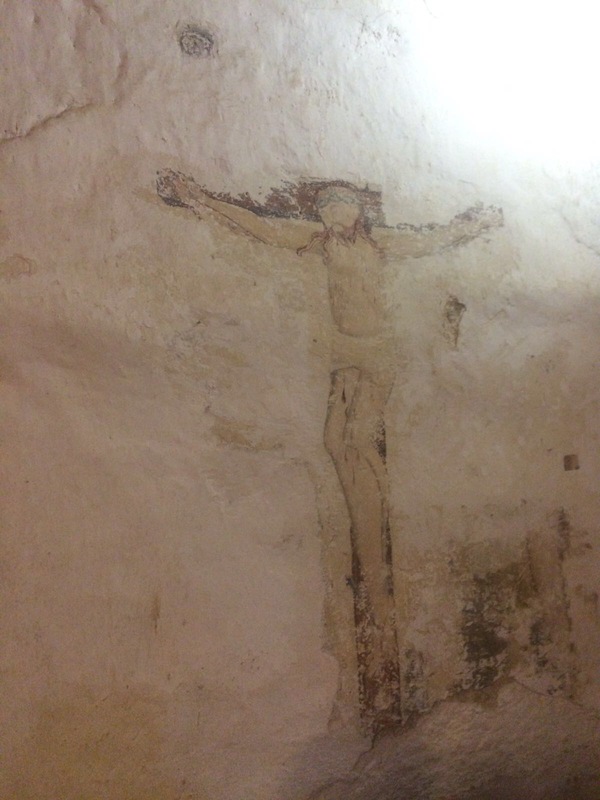 This September, the Cathedral’s very own Claire Hanlon – the Dean’s Executive Assistant – walked 120km of the famous pilgrimage route and we’ve posted her personal reflections below. So, the Pilgrim has returned! I only went and did it! In addition, not a blister to be seen! I have my ‘Credencial Del Peregrino’, which is like a passport which you need to get stamped each day, and my certificate of authenticity to prove it. Lots of people wished me well before I went, and on my return it seemed strange that the same questions were asked all the time so I will try and answer them in the hope that it will inspire and encourage others to do it. If I can do it – anyone can! My only advice though – don’t leave it too late! I meant to! I really did, but never really got round to it. I walked around Croxteth Park a couple of times but got lost one afternoon and had to get a lift back home in the ice cream van! 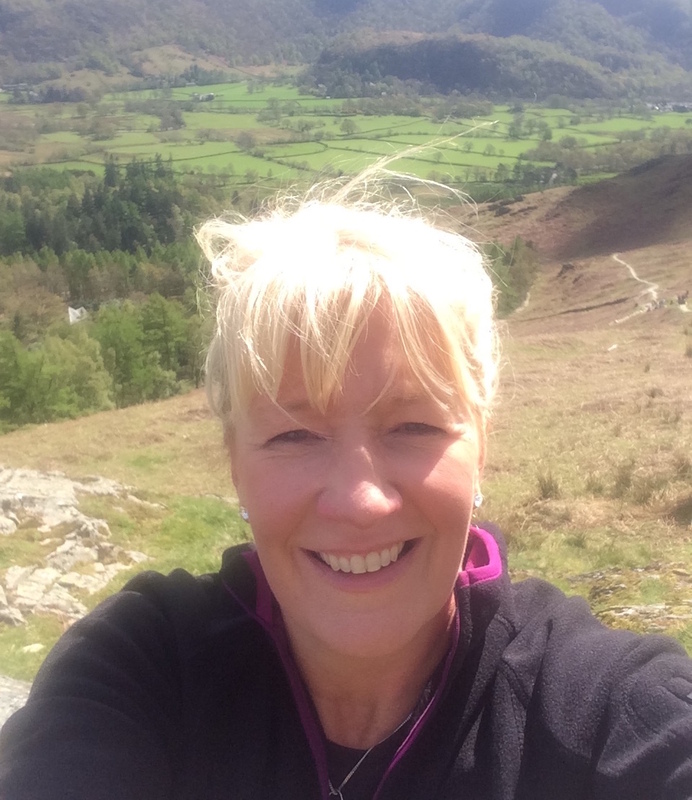 I also had a weekend in Keswick to look forward to where I planned to really put my training regime into action. The fact that it was only 2 weeks before I went to Santiago didn’t put me off – you always need to start somewhere and at least I was going to do something. The plan was to climb Skiddaw. I did indeed attempt to climb it, but I never made it to the top, stopping half way to celebrate with a sausage roll from Greggs, a half bottle of champagne and a box of chocolates! We got some very dismissive looks from the people who were running up and down the massive mountain! Yes, running! It’s the new walking apparently! Show-offs I say. Did you meet other people along the way? 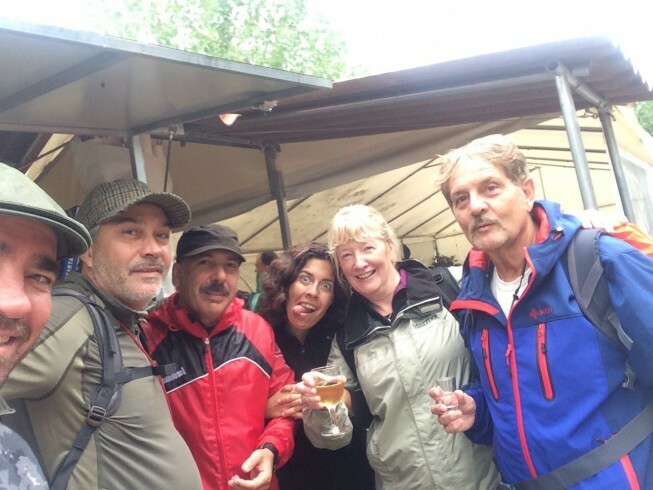 One of the great things about walking the Camino was the people that I met. They inspire, encourage, motivate, and stimulate you. They laugh with you, cry with you, see you at your worst and your best. Along with the other 18 pilgrims in my group I met some fantastic people who were walking the route for all kinds of different reasons. Some were on their own, others with relatives (lots of mums and daughters), some with friends. I did meet a man and his son who had been estranged for over 30 years – his dad had abandoned him as a teenager when he had spilt up from his mum. They had been recently reconciled, and had decided to walk the Camino to try and build a relationship together. Another Spanish pilgrim I met was carrying a letter that his wife had written to him just before she died. 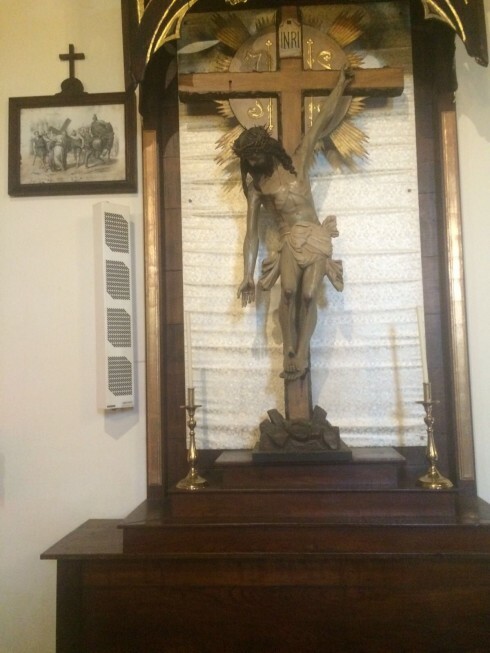 She had made him promise to walk to the Cathedral in Santiago and read her words once he had arrived there. Not a moment before. It was his most precious possession. He had been walking for 44 days and had 2 more days to go. He was in a lot of pain with an injury to his knee. His wife was 33. We shared some tears and half a bar of chocolate and I wished him ‘Buen Camino.’ It wasn’t all sad tales though. I met a lovely couple who had met on the Camino 50 years ago and were doing it again with their children and grandchildren. A big group of Italians were also walking along and had what was called a ‘bota’ around their necks – a kind of leather satchel which was filled with brandy that they were happy enough to share around! Without exception everyone you met had a different, unique story which overall they were happy to share. This is the question that I have been asked the most! 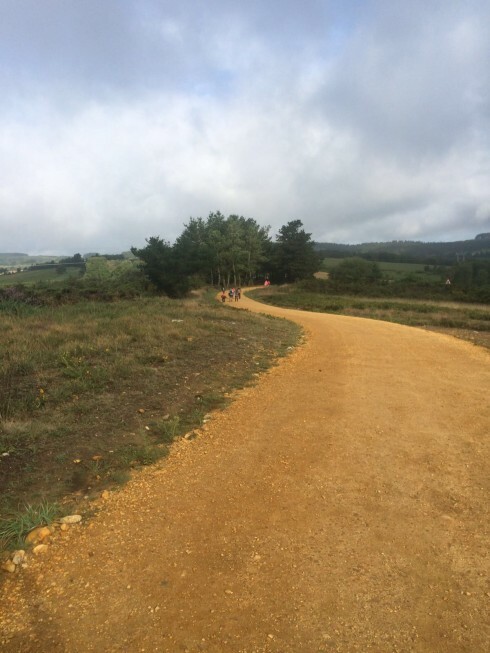 I started off with no expectations at all about what walking the Camino would mean to me. I think some people expect life changing decisions to be made along the way and perhaps for some people that does happen as there is a lot time for you to be alone with your thoughts. I was just hoping that I would be able to finish it. But what happened to me? Well, the love that I have for my family and friends was re-affirmed and I felt so very fortunate to have so many people that I really care about and I know that care for me, and who are in good health most of the time. I also realised that I am not the most well-travelled person, not the most intelligent, not the loudest or the quietest, not the funniest or the bravest, but my footsteps in life – the path that I choose to tread – is as important as the next person’s, and that my steps are as valuable as others. I also realised about the importance of looking after your physical and mental wellbeing. Its very precious, and to be patient and tolerant with those who are not as lucky. To be kind to yourself at times and that time alone is good was also very much something I brought home. And that, though I tried, I can’t live without a hairdryer! In a heartbeat! Please don’t put it off if you have the longing. Let me know and I will come with you!